Dares- why do people do them. How much havoc has been caused due to those four words? "I dare you too". 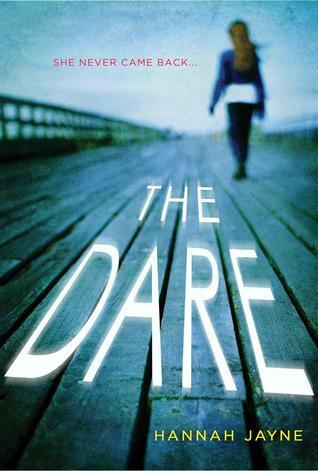 What does fulfilling a dare accomplish anyway... in this book - it causes a death! When Bryn dares her best friend Erica to jump off a cliff into the water with her, she never imagines Erica won't emerge from the water. Trying to cope with her guilt and loss, she turns to drugs and alcohol before ending up in rehab. Months later, after Erica has been declared dead, Bryn starts in a new school in a new town determined to keep a low profile until graduation. Then she starts receiving texts from Erica's old account, texts from someone who knows about THE DARE and who knows private things about their relation only Erica could know. Is Erica alive? Is Bryn delusional? Or is there another explanation.